Have you ever wondered what goes on in the mind of your consumer and how those insights can inform the way in which you market to them? 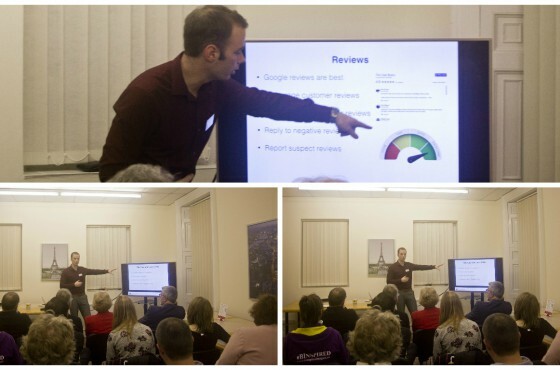 Well, that is what we heard about at the St Neots Business Network on Wednesday evening. Katie Hart founder of Rhetonic (@rhetonic) – a company that specializes in bringing Psychology into the workplace – gave an impressive presentation on the science of the mind and behaviour (psychology) and how applying this knowledge to your target audience can help you market your business and products more powerfully and effectively. Katie explained to the audience how the science of understanding the brain has evolved massively over the last 100 years or so. Where once scientists used primitive invasive techniques (such as drilling holes in the head physically pressing the brain directly to see the impact), much more sophisticated and harmless techniques (such as scanning) are now used. 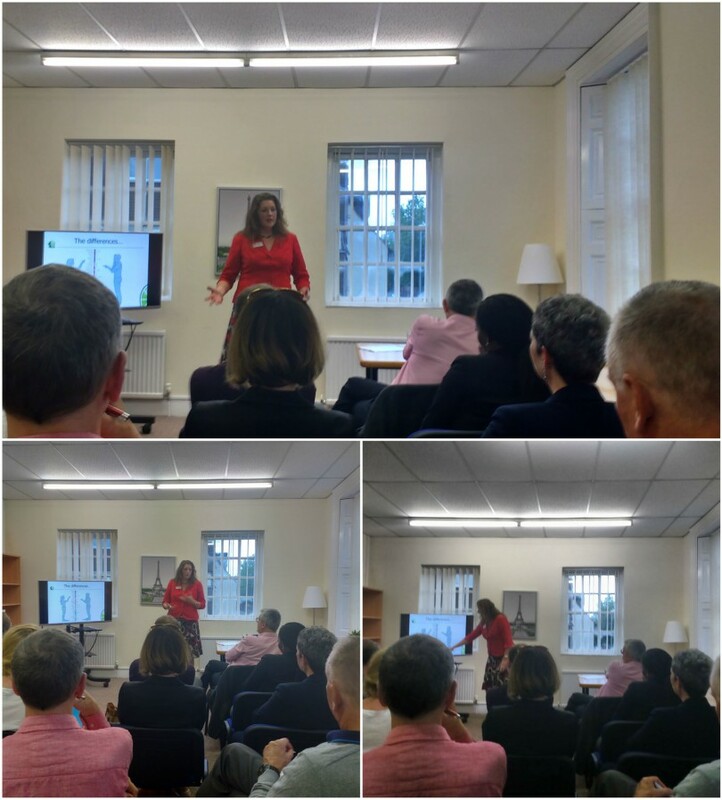 This leap in technology has enabled a far greater insight to how we behave and the talk particularly highlighted the difference between male and female brains. Whilst the technology may have come on leaps and bounds, humans have not; and our responses essentially remain as they were some 30,000 years ago when we were living in caves. Take our eyes. Male eyes are designed to focus on what is in front of them – an essential physiology when it comes to hunting – whilst women have a greater peripheral vision allowing them originally to keep a better eye on the children in their care. Or colour. Women can detect and see a greater range of colour than men and they are better able to express these colours in words. Did you know that 1 in 12 men have some kind of colour blindness and for women it is 1 in 200? Our base reactions are also different. For men the immediate reaction is one of thinking (their instinct is to solve the problem) and for women it is feeling (their instinct is to respond emotionally). Men like to know where they sit in the hierarchy and are hard-wired to compete (faster this, bigger that etc), whereas women are natural collaborators and work together to achieve their objectives. As a species we are ‘programmed’ from very early in life. One experiment asked a boy and girl, both aged 6, to draw what they wanted. 94% of the girls’ drawings featured a person, 92% depicted a landscape and 97% included the sun. Whereas for boys only 11% featured a person (and when they did it was of a pilot, a driver or similar) and the overwhelming majority were drawings in plan view i.e. viewed from the top or side. So what does this mean? With 81% of all purchases coming from, or being heavily influenced by women, brands need to ensure they are using these insights to provide cues that appeal to both men and women. With marketing essentially being male in design for decades there is a big opportunity to rebalance the communications by incorporating female cues such as faces, people, living things and a sense of nurturing and being valued. 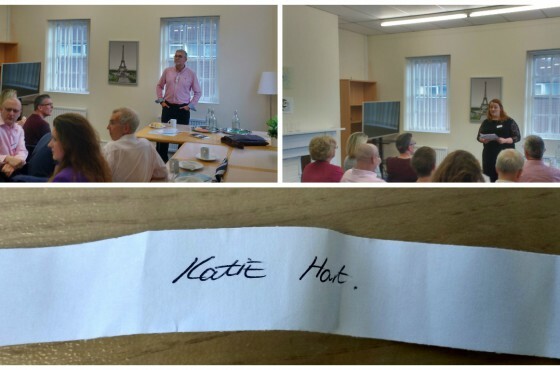 If you would like to find out more about his fascinating subject with practical ways to create more powerful communications Katie is holding a workshop on Tuesday 19th July from 9:30 AM to 12:30 PM – you can sign up here. Those members who attended the St Neots Business Networking event on Wednesday 15th June get a discounted rate of £35 +VAT. Thank you to Katie and everyone who attended. For more information on psychology in the workplace and innovative marketing, training and development practices please don’t hesitate to contact Katie@rhetonic.co.uk.